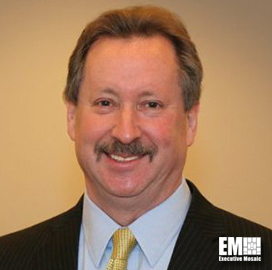 Phil Horvitz is chief technology officer and leads the Advanced Technology Office for AECOM’s Management Services Group. He is responsible for setting the information technology vision and strategy while fostering innovation, transformation, and efficiency. Phil leads the development of next-generation technology offerings ranging from Cloud computing to Cybersecurity to secure agile methodologies. ExecutiveBiz: What technological advancement do you feel will most significantly impact your business in 2016? Phil Horvitz: Although not a new technology, I believe advancements in how Cloud computing is being adopted across the enterprise will have a significant impact for our customers and our business. Over the last few years, we’ve seen Cloud become much more than simply a way to shift CAPEX to OPEX and provide a lower cost of hosting. Instead, Cloud has evolved to become the centerpiece of transformation of the IT enterprise, enhancing agility and the speed of developing new services. Along the way, Cloud security, which was once seen as a weakness, is now seen as a strength, with security now being thought of as a mission enabler rather than an inhibitor. The transformation to a Cloud-centric/Service-centric view of the enterprise with optimized operational processes and workflows will continue to drive further improvements in operational efficiency. We’re already seeing how Cloud, Agile Development, and DevOps have become the “recipe” for rapidly delivering new functionality. As customers continue to shift workloads to multiple Cloud Service Providers (CSP), it is becoming more important for CIO’s to adopt an integrated and unified computing model where the management and delivery of services can become independent of the CSP. In this model, workloads, communications, and security, will all be designed to integrate seamlessly between providers, unlocking significant gains in agility and efficiency. To view the full list of Executive Mosaic’s Top CTO Executives, please click here.